Home › Peru › Thank you for providing livelihoods! 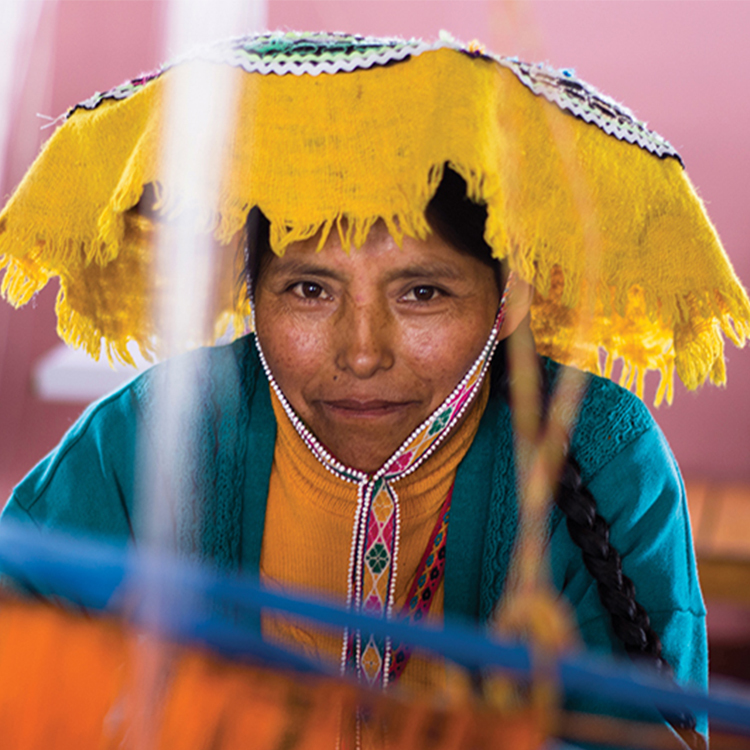 Mary MacKillop Today’s partner in Peru, Solidaridad para el Desarrollo, has just completed training 40 women in Puka Phallcha and Kailla Kipu communities to knit beautiful garments and work together to manage their small businesses! Many of the women are single mothers juggling work and family, and many were illiterate before beginning the training. Women in Peru, particularly those in remote and rural communities continue to be disadvantaged in gaining access to education and employment. Through the training, that your dedicated commitment to Mary MacKillop Today supports, the women have learnt values such as solidarity, respect, trust, achieving their rights, and having a strong work ethic. One of the woman from Kailla Kipu who recently completed our livelihoods training.